When I first became a Celebrant, I thought it would all be about The Big Day; but it is so much more than that. From the moment a couple makes an enquiry with me, that’s when it all begins. It’s wonderful to share in the journey leading up to that Big Day, and I feel so delighted to be able to do that with every couple. I have met so many different people, from so many backgrounds and cultures, and that is the part of my job I enjoy the most. I never know who is going to turn up on my doorstep at that very first meeting, but I love inviting each couple into my home and listening to their life journey, and of course hearing the story of their romance! 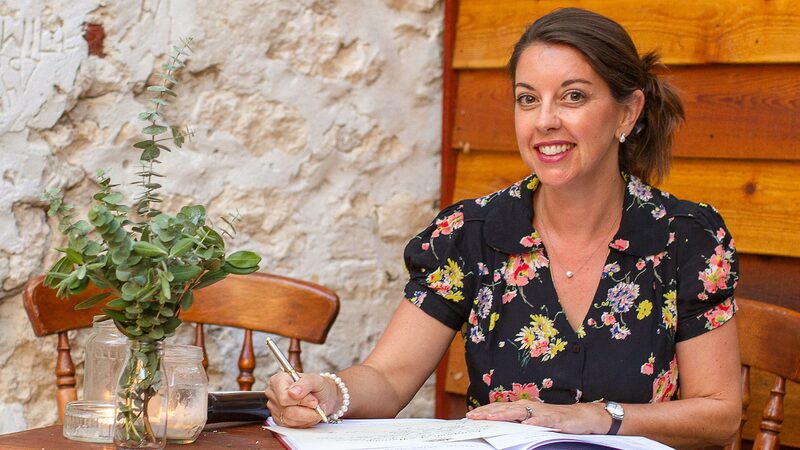 I am a vibrant, thoughtful, professional and experienced Celebrant. With a background in Drama teaching, and having married over 200 couples, I will bring a mixture of warmth, sincerity, clarity, dramatic flair and, of course, a splash of fun, to your marriage ceremony. I myself am married, with three beautiful sons, so I understand the importance of your special day; I will ensure that your ceremony is meaningful, unique, and not in any way "run-of-the-mill". I’ll meet with you to chat about your ceremony, I’ll take care of all of the paperwork, and on the day I’ll guide you through the ceremony, so that you can relax and enjoy every moment of your wedding day. I’ll ensure that both you and your guests have lasting, beautiful memories of a wonderful ceremony. I genuinely feel honoured to be a part of each marriage ceremony I conduct. To stand beside two people who are sealing their bond; to feel the connection; to see the delight and support from family and friends; to draw the guests into the moment…I just love it.